I had an exchange on my last post with one of my readers about the lawful ownership of tanks by private individuals. In my world, the people with whom I associate would find this to be just plain ridiculous and would wonder why in the world anyone would want to own a tank much less the legality of such ownership. One can assume that these tanks are not operational and only for the purpose of collecting them. But again, why? A tank is also expensive, with good ones going for the price of some houses. Is this the world envisioned by our founding fathers? A Facebook friend, involved in gun violence prevention, posted this photo of a quote from the Jefferson Memorial while on a recent trip to Washington D.C. The world has changed since Thomas Jefferson wrote this quote while reflecting on the Constitution. I think everyone can recognize that. Since then several wars have occurred leaving behind new types of arms. ( and by the way, more Americans have died from gun violence just since 1968 than from all Americans killed in wars since the Constitution was written). Now some of these arms ( weapons) are marketed as “common sporting rifles”. AK 47s have been converted to become an ordinary civilian weapon for mass shooters or those who believe the government is coming for their guns. “I keep having the same unsolved question: if my rifle claimed people’s lives, then can it be that I… a Christian and an Orthodox believer, was to blame for their deaths?” he wrote. Lightweight and easy to master with about 30 minutes of instruction, the AR-15 was invented in 1959 for the military, but was modified for civilian use beginning in 1963. Civilian use of the weapon is an abiding issue though. There once was a nationwide ban on such assault weapons, imposed in 1994 following a number of mass shootings in the ’80s and ’90s. When it was lifted ten years later, gun rights advocates cheered and sales rose. Now the parents of those first graders and the relatives of the adults also killed in that heinous shooting are suing the manufacturer of the AR 15 because said manufacturer knows that these types of semi automatic rifles originally designed as war weapons that can take large capacity ammunition magazines are actually not common sporting rifles but meant to kill a lot of people in one place at a time in short order. Worlds collide. The world of gun rights extremists is not understood by those of us who want safer communities and fewer people shot to death or injured by the many guns that are now accessible to average Americans. And vice versa. Was this the vision of our founding fathers? Doubtful. They had the common sense to realize that the world would change long after their own deaths and that the country and its’ Constitution should also change to reflect different times. They set down some principles that have helped govern our country for the last 200 plus years. For the most part they have worked well. But when it came to only white property owners having the right to vote, the new world had to change. Slaves were no longer. Black people were freed and demanded the right to vote. Women decided that they had the same rights as men to vote and demanded that right. It took a long time to get there which, looking back, seems almost surreal. And so we plod along trying to make the world a safer place and hoping that gun deaths and injuries can be prevented with stronger gun laws to reflect the current world. The internet has provided a new market place for the sale of guns where private sellers can connect with private buyers and exchange guns for money with no background checks. Let’s look at just one of many hidden camera videos of how easy it is to buy any gun on-line. Colin Goddard (in the video) was shot and injured at the Virginia Tech mass shooting. Mass destruction is possible with the weapons developed since the 2nd amendment was written. Weapons designed for military use are now available to citizens. And some gun extremists actually believe they will be at war with their own government. This kind of fear and paranoia is stoked by the corporate gun lobby where profits are the bottom line. And so resisting all common sense measures to stop guns from going from the legal market to the illegal market are stopped by their nonsensical rhetoric. And so the devastation continues with almost daily reporting of toddlers accessing loaded guns owned by their parents or other relatives who think their rights to own guns apparently don’t come with the responsibility to keep others safe from shooting themselves or others. Domestic shootings continue unabated. 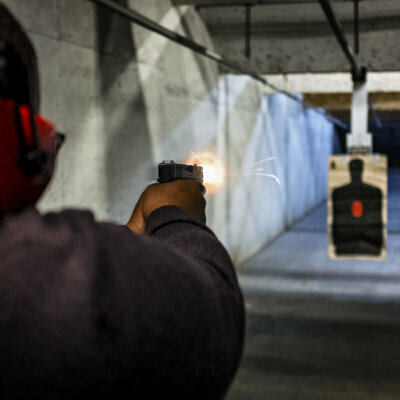 Gang shootings are taking the lives of young people of color in our large urban cities. Gun suicides are taking the lives of too many older white men and young (mostly) men and teens. Worlds do collide. Truth is often stranger than fiction. Just look at the Presidential race if you don’t believe me. Presidential candidate Donald Trump is ramping up the nonsense and fear by making claims that if Hillary Clinton is elected as our President she will methodically order the confiscation of all of the more than 300 million guns in circulation in America. If you believe this, I have a bridge in Brooklyn to sell you. So what now? Will we ever be able to convince a majority of our elected leaders to support the views of the majority of Americans without fear of being attacked by the minority but well funded and mythically powerful corporate gun lobby. Yes, a lot of Americans own guns but fewer homes have guns than in many years. Some Americans own many guns. Yes, a lot of Americans hunt and use guns for recreation but they don’t oppose stronger gun laws. Yes, a small minority of Americans like to carry loaded guns around in public and seem to think they have some sort of constitutional right to do so (can you find that in the wording of the second amendment?) 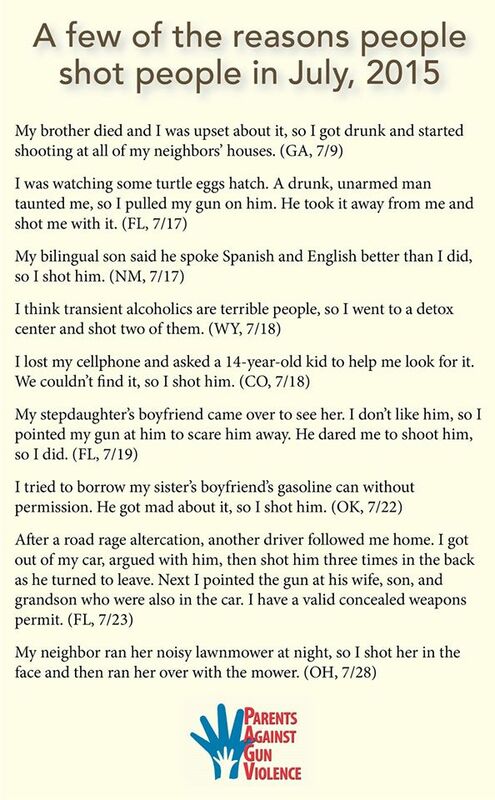 But do they realize that carrying a gun in public is more often to result in incidents like those below than actually using that gun in self defense? Kentucky concealed carry permit holder discharges gun “accidentally” in hospital. South Carolina student “accidentally” discharges gun in a school and shoots himself. 3 year old finds gun in Dad’s backpack and shoots and kills himself. This is the real world. It is not fiction. This is where the world of the gun extremists and gun lobby collide with the world of actual daily shootings that could be avoided and prevented if we put our heads together to make it happen. Slowly but surely, the public is recognizing that we can do something about the devastation of gun violence in America. As more people are affected by gun violence or are made aware of the truth of the matter, they are joining the many organizations and individuals working to prevent gun violence. And politicians are recognizing that supporting reasonable gun laws that don’t affect law abiding gun owners or take away rights is a winning issue. We are better than this. Let’s get to work because we’ve had #Enough and refuse to be intimidated by those who make claims that are not true. We may never bring the two worlds together but we can bring the majority who reside in the middle and believe we make changes together to save lives. This of course refers to the spring weather which has been particularly cruel in Minnesota this year. We are one day wearing winter coats and boots and shoveling and the next sitting outside in short sleeves and enjoying the spring sun. But for the victims of these now famous shootings and attacks, April is unforgettable. How can we forget the 32 shot dead at Virginia Tech? How can we forget the first big school shooting that left 12 dead and the country reeling? How can we forget the Oklahoma bombing that left 168 innocent people dead. The man who committed this heinous act was a gun extremist and had anti-government sentiments. The Boston Marathon Bombing did end with shootings and left 3 people there to watch the finish of the race dead. Saul Cornell, a professor at Fordham University, said some quotations may need context, especially those from the “losing side” of debates. He added that he believes both sides of the gun conversation tend to oversimplify the Founding Fathers’ historical intent. Cornell, who is the Paul and Diane Guenther Chair in American History at the school, said the Constitution incorporates lessons learned while the nation was under the Articles of Confederation. He said the turmoil of Shays’ Rebellion stirred up fears of mob rule among many leaders. He also compared the militias of early America to a form of taxation, saying that citizens had what Jefferson referred to as a “right and duty” to be armed. That is, they were required to buy weapons in addition to being allowed to possess them. Militia membership was often compulsory, Cornell said. He questions whether the Founding Fathers would have welcomed the idea of people taking up arms against their newly hatched constitutional government instead of using governmental procedure to settle differences, which sometimes is referred to as the “ballots vs. bullets” debate. Those who hold the belief that the Second Amendment gives them an individual right to take violent action against our government should it lapse into “tyranny” have isolated Jefferson’s “tree of liberty” quote in order to justify a radical ideology. The truth is that Jefferson’s views on private rebellion were far more thoughtful and nuanced. While scholars like Saul Cornell have acknowledged that Jefferson affirmed an individual right to keep arms for private purposes, he never described disorganized or spontaneous insurrection as a right. Jefferson instead envisioned“a universally armed citizenry organized into well-regulated militia units based on a system of ‘ward republics’” as a deterrent against “usurpers” and a key guarantor of a healthy republic. In today’s hyperbolic and sometimes even violence-prone political environment it is important to understand that armed Americans ready to fight against their own government or for a particular candidate is not a democracy. We use ballots- not bullets- and hopefully common sense, to change our leaders. Our Founding Fathers wanted it that way. I doubt that they envisioned armed Americans ready to fight their own government or use their guns to intimidate and bully other Americans. Some wonder if April has some significance when it comes to violence. This article explores that idea and comes to the conclusion that in America, at least, mass shootings occur in any and every month and we know that shootings happen every day of every month to the tune of 90 a day. For my family August was a cruel month. For others it was December when 20 first graders and 6 educators were shot dead by a young angry mentally disturbed man who should not have had access to guns. Gun violence is cruel and devastating. In American it is particularly and uniquely so.It doesn’t have to be that way. We shouldn’t be thinking about certain months or certain dates in light of violent events that took place then. Too many families hate the anniversaries of the shooting deaths of their loved ones or friends. It’s past time to change the conversation and do something. Today a petition with 200,000 signatures to ask Congress to repeal the PLCAA law was delivered. A protest outside of the hotel where the NSSF was meeting also happened. The National Shooting Sports Foundation opposed the Senate background check bill in 2013 much to the great consternation of gun violence prevention activists and victims. It is located in Newtown, Connecticut where the Sandy Hook shooting took place. April is a busy month for activists whose mission it is to call attention to our American public health epidemic and ask our leaders to do something about it. The month starts out with April Fools’ Day. We will not be fooled by the false and deceptive rhetoric of the corporate gun lobby. And we can’t let our elected leaders be fooled either. It is no joke to have a loved one’s life cut short by a bullet. And that is why we are acting today, this month and every month. Check out the Facebook page of Newtown Action Alliance and the Twitter feed of the Brady Campaign to Prevent Gun Violence for photos showing the activists working for victims. This is what change looks like. Let’s keep going and make it happen. April 2, 2014- the second Fort Hood shooting that killed 4, including the shooter and injured 16 more. April 14, 2003- John McDonough High School shooting where a 15 year old student was shot and killed by 2 men with an AK47. 3 others were injured. April 15, 2013 -The Boston Marathon bombing, of course, killed 3, injured many and caused terror to many. But it also did involve several shootings when one of the bombers shot and killed a police officer and the other suspect was shot and injured by law enforcement authorities after a long search that terrorized the Boston area for days. April 16, 2007- The Virginia Tech shooting victims will be remembered again today on the 8th anniversary of the deadliest mass shooting in America. 32 were left dead and 17 others injured after the shooter, a severely mentally ill student who obtained a gun legally, opened fire on fellow students and professors before he shot himself. Once the Branch Dividian siege began in Waco, Texas, McVeigh became convinced that the government was the ultimate bully, trying to take away people’s guns. McVeigh even drove to Waco during the siege. “You feel a bond with this community. The bond is that they’re fellow gun owners and believe in gun rights and survivalists and freedom lovers,” said McVeigh. McVeigh believed he and the Militia Movement were now at war with the U.S. government. Sometimes these beliefs turn into action and unfortunately, that is what happened in Oklahoma City in 1995. April 20, 1999- Two students obtained guns from a friend who bought them at a gun show with no background check, shot and killed 13 people and injured 21 at Columbine high school in Littleton, Colorado. This school shooting propelled a lot of Americans into action about gun safety reform and is still remembered today because it was the first school shooting in modern memory with so many victims and marks the beginning of an era of school shootings not seen in any other country in the world. You can see the list in this article, stunning because of the continued carnage and lack of action to prevent more of them. April 25, 2003- Pittsburgh area junior high student shot his school principal and then himself at his school. The 14 year old carried 3 loaded handguns to school that day. The guns came from his own home. This, of course, is just one month of 11. In America, we speak of school shootings and mass shootings as if they are just part of the landscape. That is the sad truth and it should be a shameful truth. But our elected leaders continue to ignore the facts about gun violence and vote with the corporate gun lobby instead of standing up for the victims and survivors. 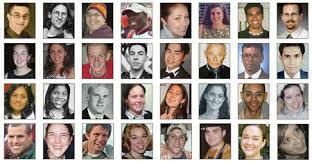 Today we remember the victims of the Virginia Tech shooting. Tomorrow- others- and the next day and the next day and the next day……..
We are better than this. It’s past time to change the conversation about the role of guns and gun violence in our communities. We can do something to reduce and prevent shootings. But we are not and that’s the American tragedy. Every day in America, another Virginia Tech happens when 32 Americans are killed in gun homicides. And that is only some of the 80 Americans who die daily from gunshot injuries. We have to get this right- lives depend on it. I will also remember some friends I have met through my gun violence prevention work- the brother of a victim, the mother of a survivor and a survivor of the shooting.